As a busy bee I have not had time to keep this calendar up to date with all the new events coming out. 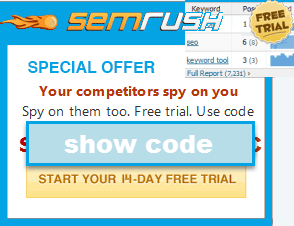 You may want to check out the events directory on SEMrush or Conference Calendar.com! If you would like to add an event please ping me at seobook@outlook.com and I will see if I can add it for you. Want to Subscribe to Future Events? The three most popular SEO conferences are Search Marketing Expo, Search Engine Strategies, and Brett Tabke's Webmasterworld Pubcon. Danny Sullivan was originally behind the SES series, but recently announced he was leaving and opened up his Search Marketing Expo. The most popular Search Engine Strategies conferences occur during fall in San Jose and at the end of winter in NYC. There are also MANY other local and international Search Engine Strategies conferences throughout the year. You can learn more about SES by reading the conference blog. Pubcon holds a conference around the beginning of winter in Las Vegas. Brett also sometimes holds a pub only conference in the UK. You can learn more about Pubcon by reading the conference blog. Affiliate Summit - Hosted by Shawn Collins. Highly focused on affiliate related issues. Gnomedex - Chris Pirillo's technology conference. Search Bash - informal Jamaica gathering by WebmasterRadio.fm. SEO Roadshow - free, but invite only. Many search market old-timers go to this pub only event. SXSW Interactive - focused primarily on design, new media, and blogging. Less crass commercialism than at the other conferences. Web 2.0 Conference - focused on new web technologies and upstart companies. Hosted by John Battelle. I have found most of my best business relationships have come from face to face conversations at conferences. Rand also recently pointed out the value he found in face to face time. It is hard to build that same level of trust just over the web, but the web can help you start to form friendships and good business relationships. In addition to dozens of conferences each year, there are also many active online SEO discussion forums, SEO blogs, and SEO podcasts you may want to check out. 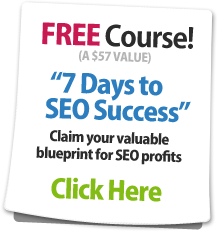 Search Engine Roundtable and WebProNews have covered SEO conferences for many years now. Outspoken Media has recently got into the SEO conference review market with some high quality coverage as well.